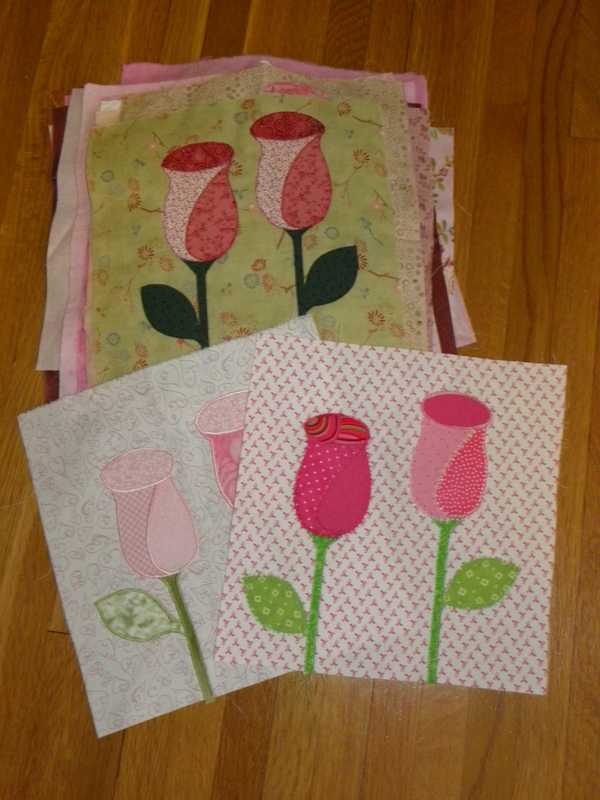 I’m happy to report that I got 45 rose blocks at the guild meeting and 3 blocks were sent to me. 48 total blocks. A big thanks to all the ladies participating. I’m planning a sit-n-sew for October or November to put the 3 applique’ blocks together. It’s so much fun to see everyones blocks and how different they look. Things are pretty hectic at work and there are lots of deadlines and headaches. 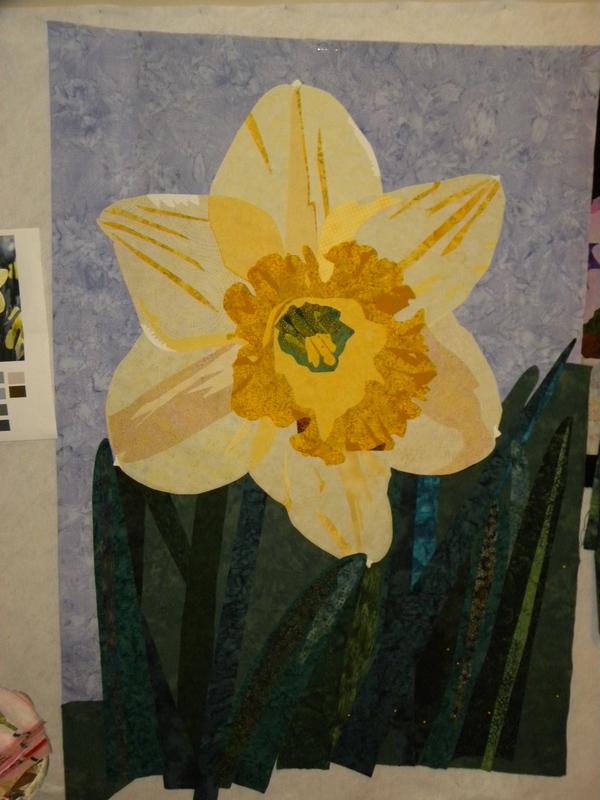 This daffodil is what I work on late in the evening as a stress reliever. I REALLY look forward to working on it every night. I actually can’t wait to get to it each evening. Actually, I’ve just recently come back to it. I stopped working on it for several months. Personally, I usually don’t work on just one project at a time. I work on several at a time. The daffodil has been up on my studio wall for many months percolating. I think I’ve just about completed the applique’. Next is the fun part. Bringing it to life with thread painting. Do you work on several projects at a time or do you work on one until it’s complete? 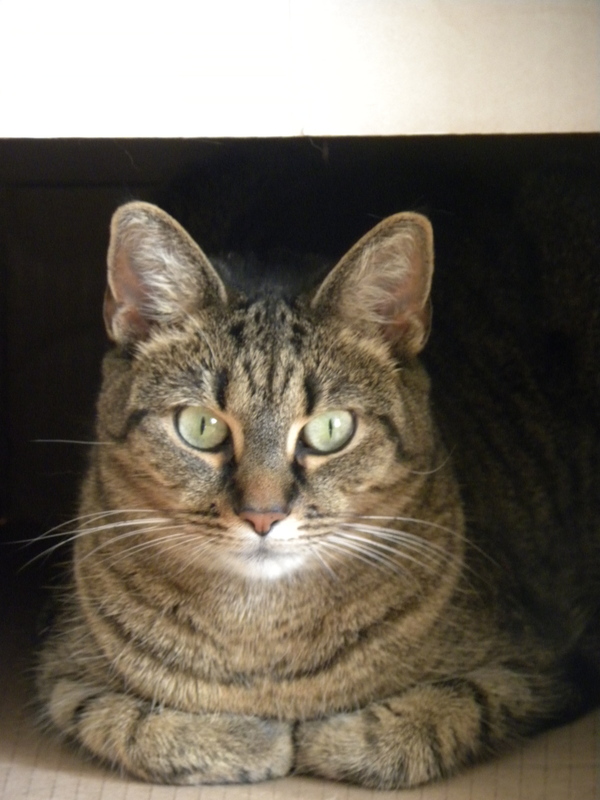 Kitty cat pic of the day….my pretty Daphne. Thank you so very much for sharing your patterns, I am overjoyed they are so very pretty.